Thanks to your feedback, Swimia has become in just several months one the most essential sites of swimming pools. 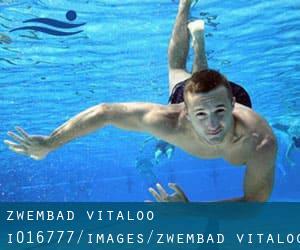 Here you have all of the info we know about Zwembad Vitaloo, in Bolsward. Don't forget you can also promote this pool so Zwembad Vitaloo will appear the first of Bolsward, or even the very first of your country, contact us to know more. Burgemeester de Hooppark 4 , Sneek , NETHERLANDS (Postal Code: 8605 CR). This sports center gives 25 meters x 15 meters, Indoors. Contact information for this Pool such as phone number and e-mail address are number. Burgemeester de Hooppark , Sneek , NETHERLANDS (Postal Code: 8605 CR). Among all the activities provided by the center, if you are enthusiastic about swimming you'll appreciate 25 meters x 15 meters, 6 lanes, Indoors. If you need to get in touch with this Swimming Pool, email address and phone number are both number.